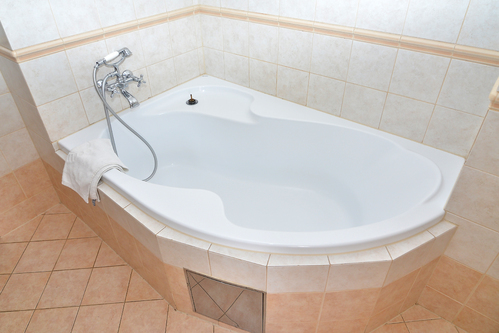 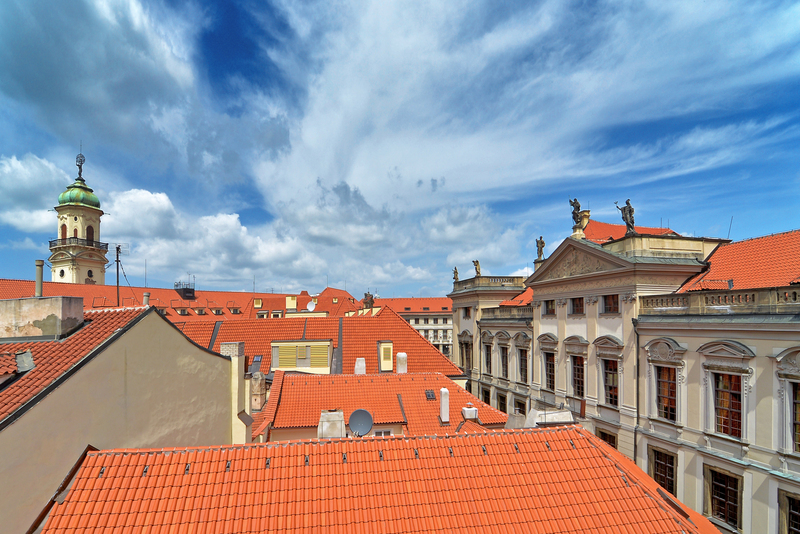 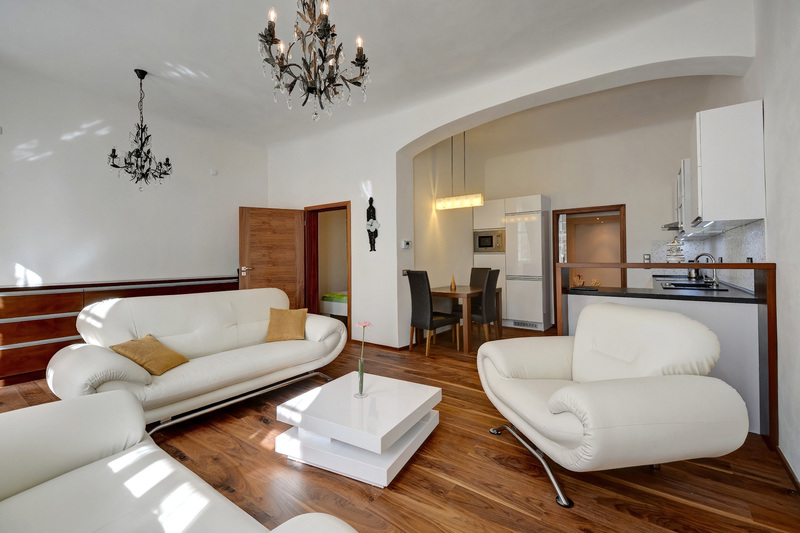 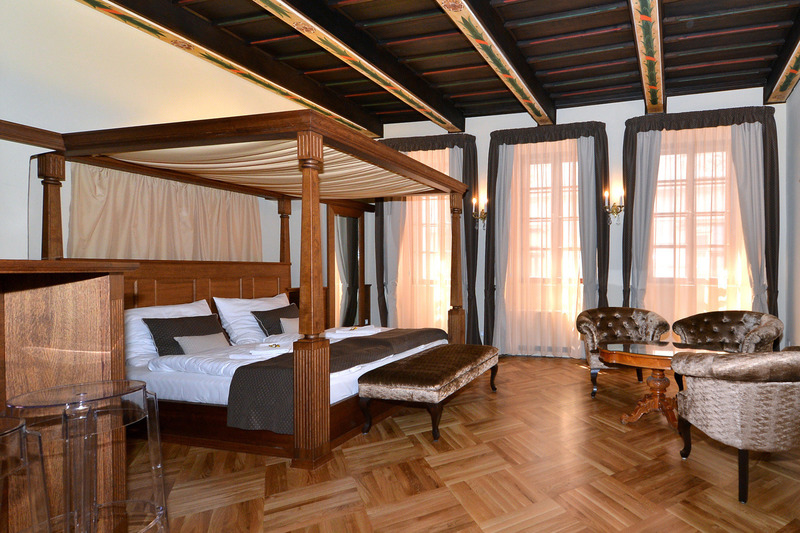 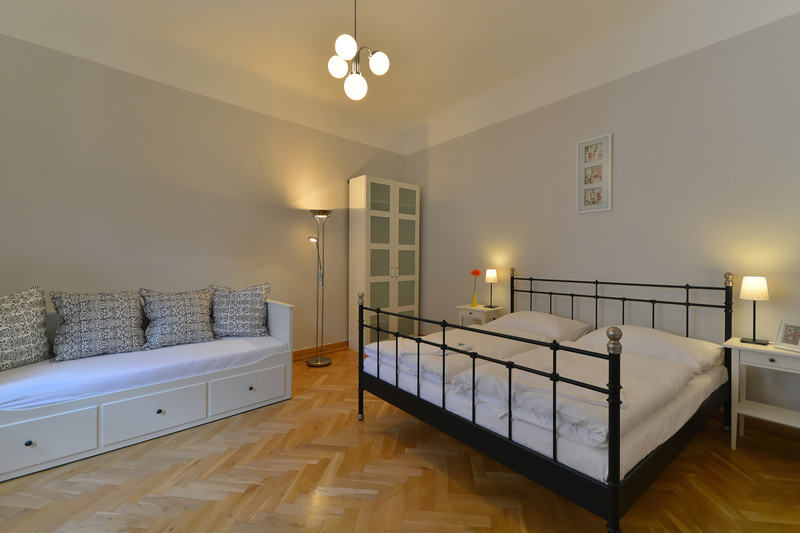 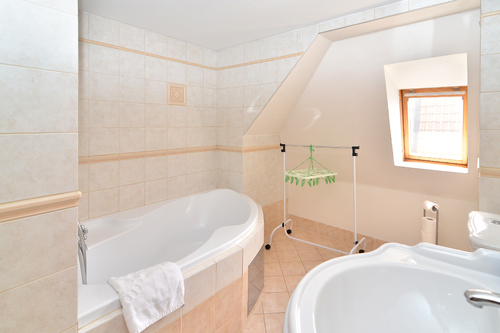 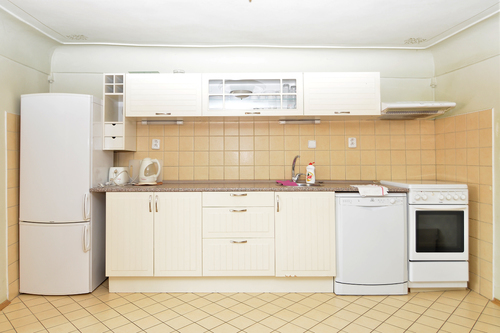 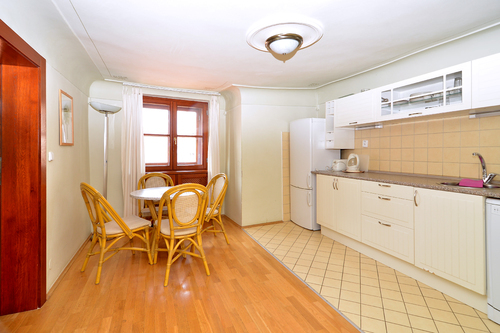 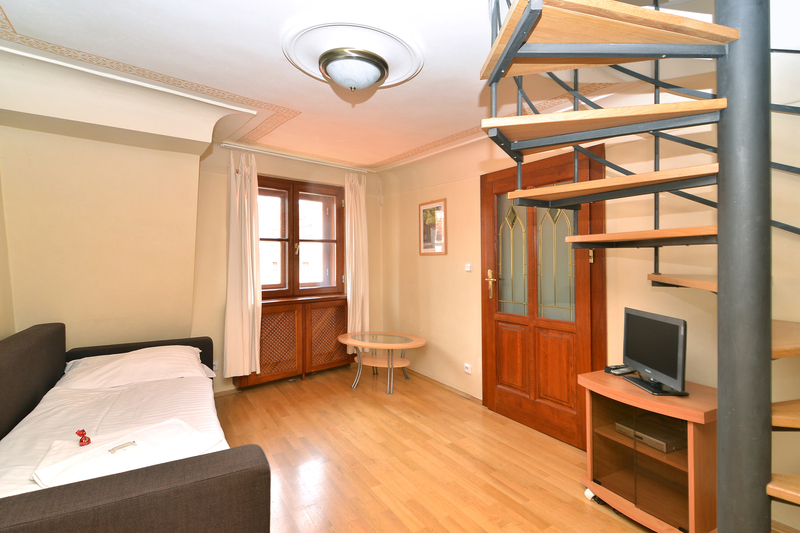 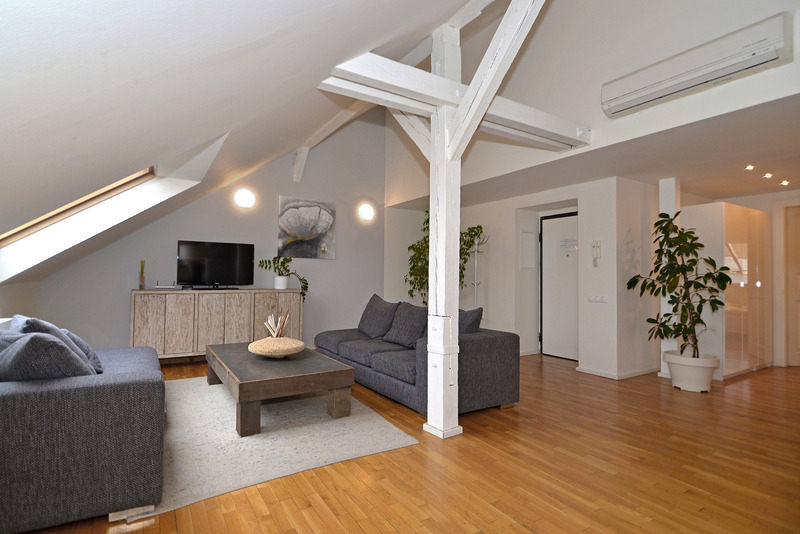 An apartment house on the Royal Route, in Karlova Street between the Old Town Square and the Charles Bridge, offers exceptional accommodation on two floors for 6 persons. This two-storey apartment is situated on the 4th and 5th floors of a historic house dating back to the 13th century. 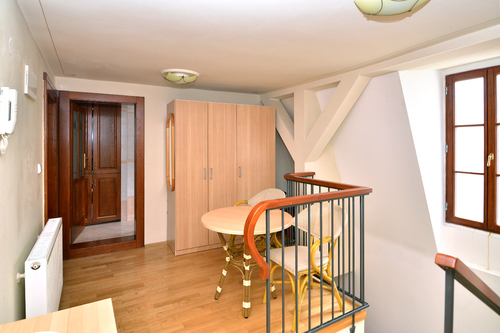 The house does not have a lift, therefore it is more suitable for younger visitors. 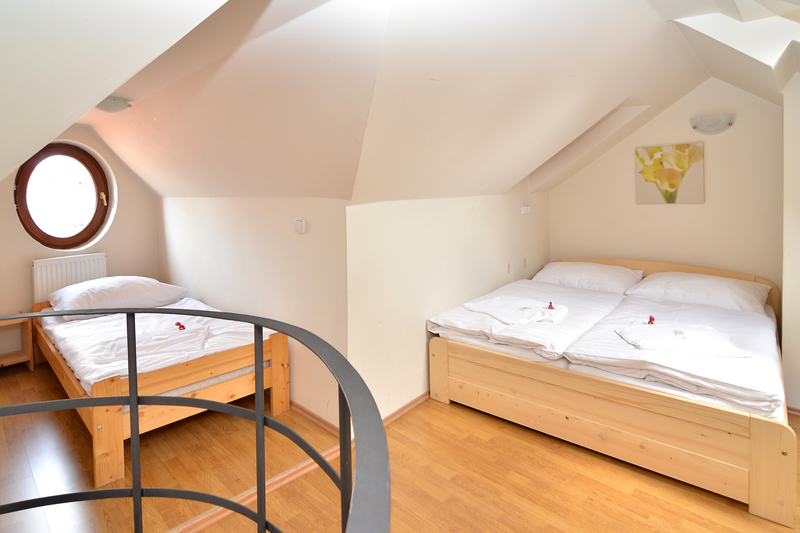 On the 4th floor, there is a living room with a TV and a fold out sofa for 2 more people, fully furnished kitchen with a table, a bathroom with a bathtub and toilet. 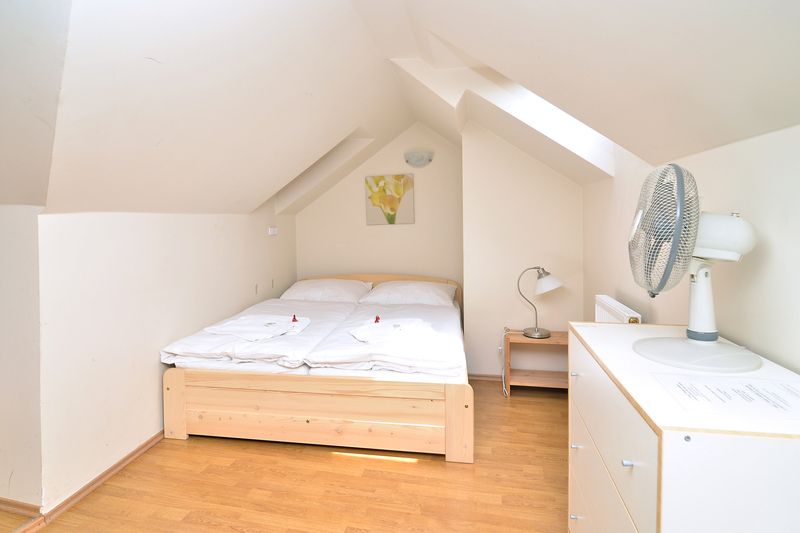 On the 5th floor, there is a bedroom with two twin beds and one double bed.